My friends and regular readers will know that I just LOVE bright colours! In my garden, our house and my wardrobe, or more precisely my clothes - must have colour! My partner Philip is more restrained and likes the muted shades of beige, beige and beige! Sorry - I'm kidding, he goes for earth colours, as they used to be called, soft browns, olive green and to be really wild a touch of muted terracotta. My clothes are more primaries, electric blues, hot reds, verdant greens and sandy yellows, all tempered with grey and black. 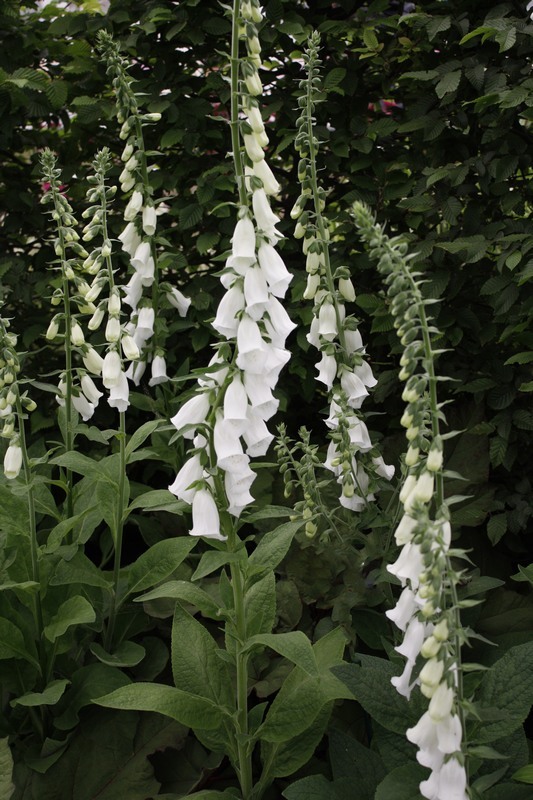 But I don't own many white clothes, bringing me to the point of this blog - the value of white in the garden. 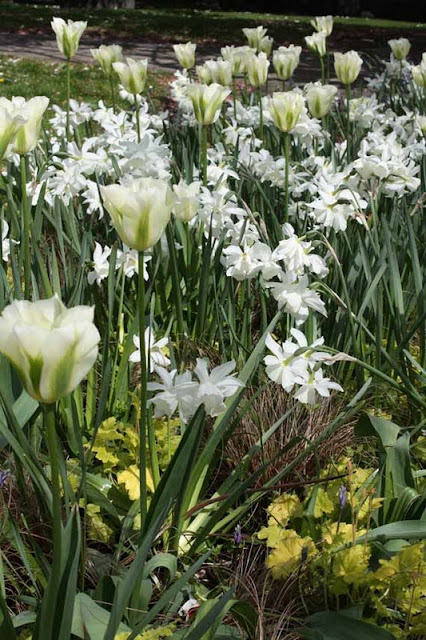 White flowers go with anything and fit into any colour scheme, although there are differences in white which become apparent when you place various white flowers together. 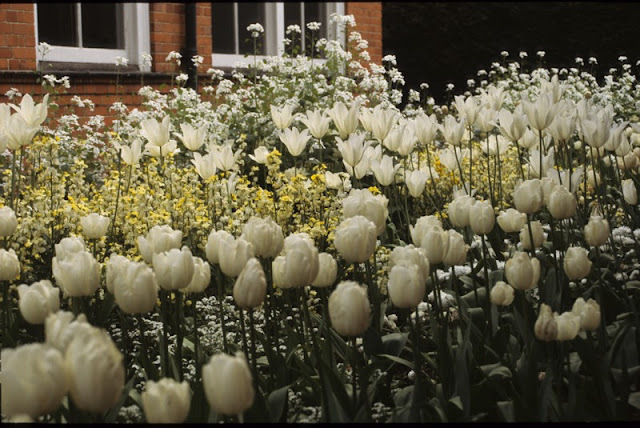 Many years ago when I worked as gardens manager at a certain National Trust property, I was called in to the house on a bank holiday Monday to speak with Her Ladyship. She complained about the flowers on the dining room table the previous evening (amongst other complaints!) I replied "But you asked for white flowers!" To which she responded "Yes - but they were the wrong shade of white!" And yes white can vary in plants, between the virginal white of Cosmos 'Purity' through to the rather primrose shades of the so-called white wallflower. An old picture with white honesty, myosotis, tulips and the not so pristine white wallflower! 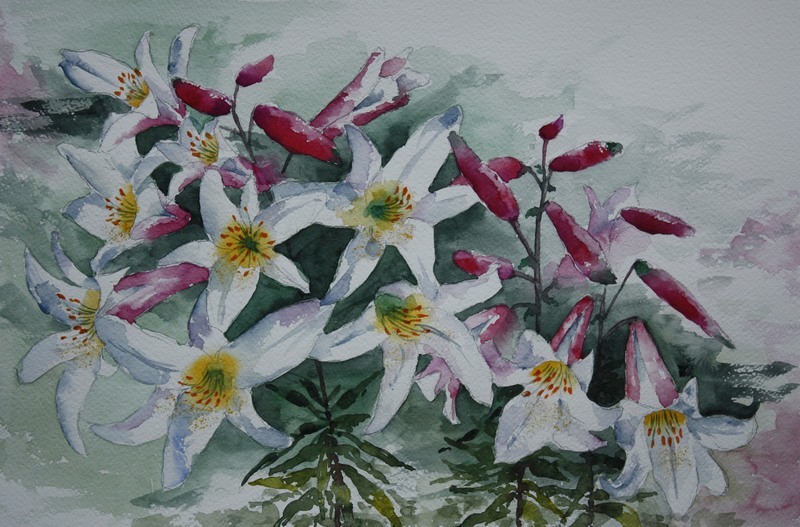 In my recent explorations with watercolour painting, I have become very aware that white is affected by all the colours in its surroundings. 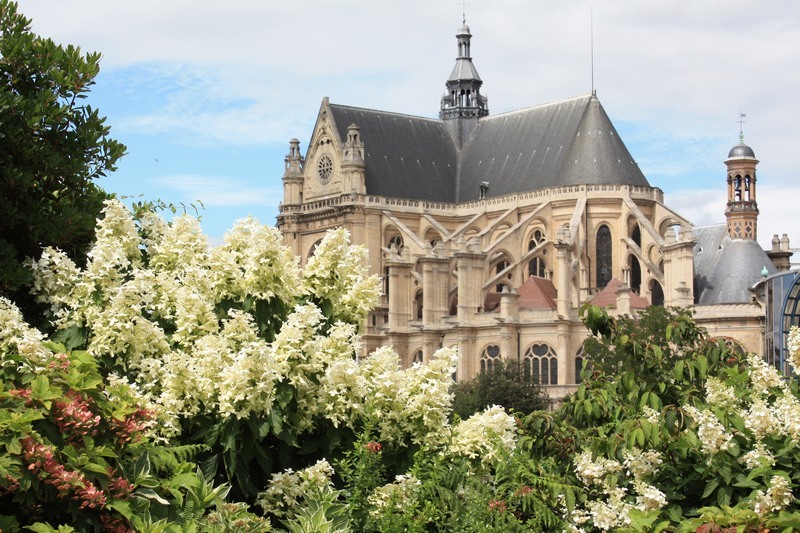 Painting white flowers requires courage and a certain level of adventure. For starters with watercolours, one doesn't paint white flowers, but paint round them, leaving the white paper in the shape of the flower. Then to create the subtlety of shape and shadows, one adds delicate shades of other colours. Using grey to create such shadows kills the picture instantly, so one uses pale washes of other colours, green, blue or even red - amazingly it works! 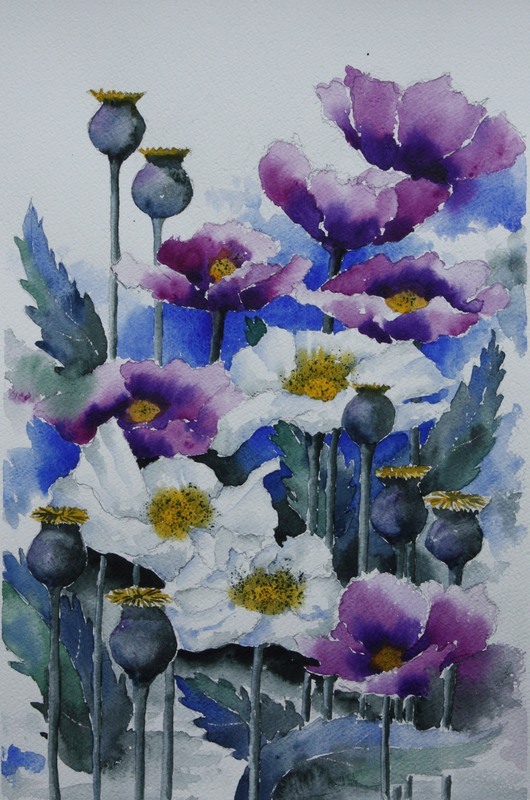 Opium poppies, the shadows on the white ones made with pale blue and a touch of very washed out perylene green. The dark background painted around the flowers, creates the shapes. White in the garden adds light - a dark shady corner add some white flowers and provide instant light! White goes with almost anything but is particularly good with strong contrasts. Lots of dark colors, deep blues, maroon reds, look good with with white. 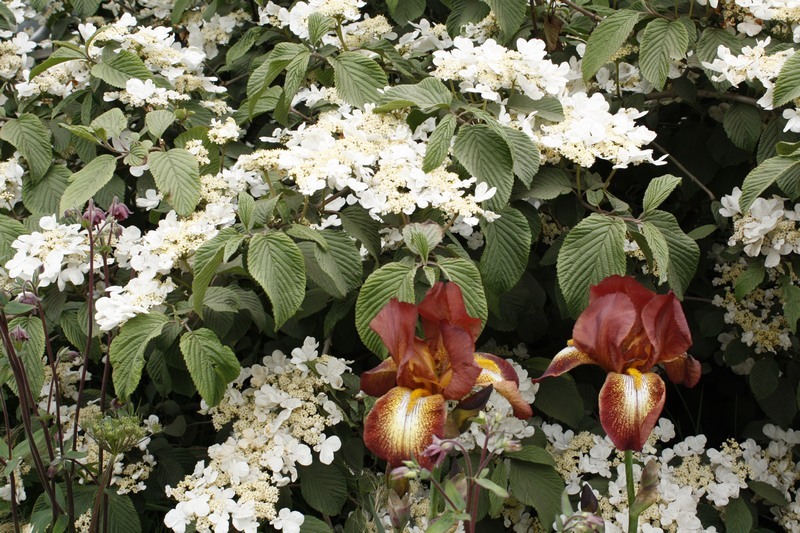 Such a mix avoids the whole scheme becoming dull and drab and acts in a mutually beneficial way, showing all colours to their maximum. 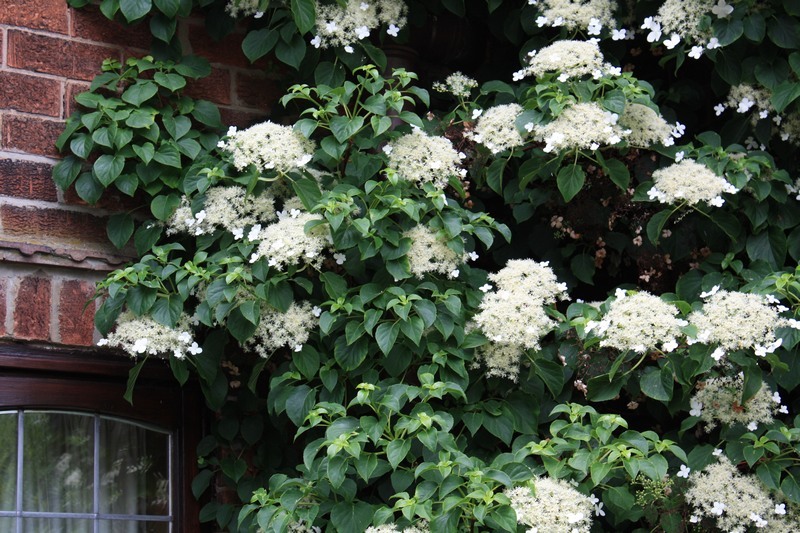 Climbing hydrangea petiolaris is not pure white, more ivory but a good garden plant and excellent on a shady wall or growing up a tree. 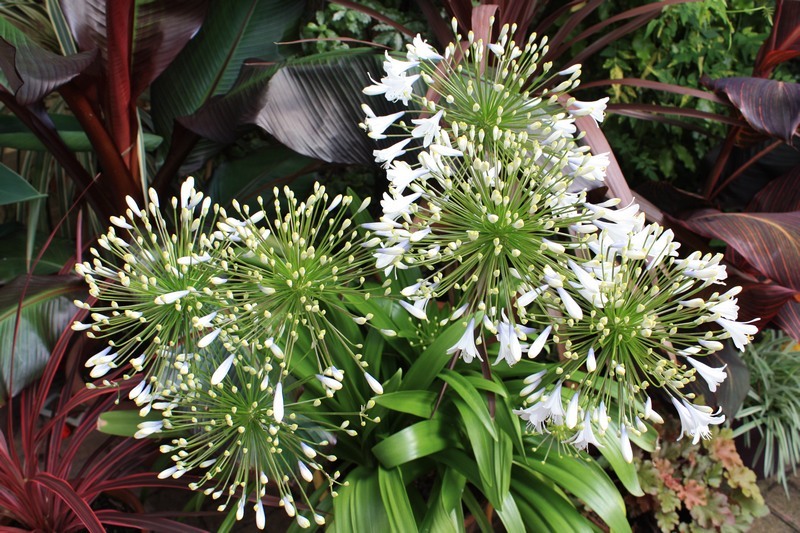 Agapanthus 'Isis' in my own garden a few years back contrasted with deep ruby foliage - sadly winter 2011 finished it off! White Nicotiana sylvestris against dark green yew and contrasted with the red Coleus 'Juliet Quartermain' and yes Chad I do know they are know Solenostemons - just being difficult! 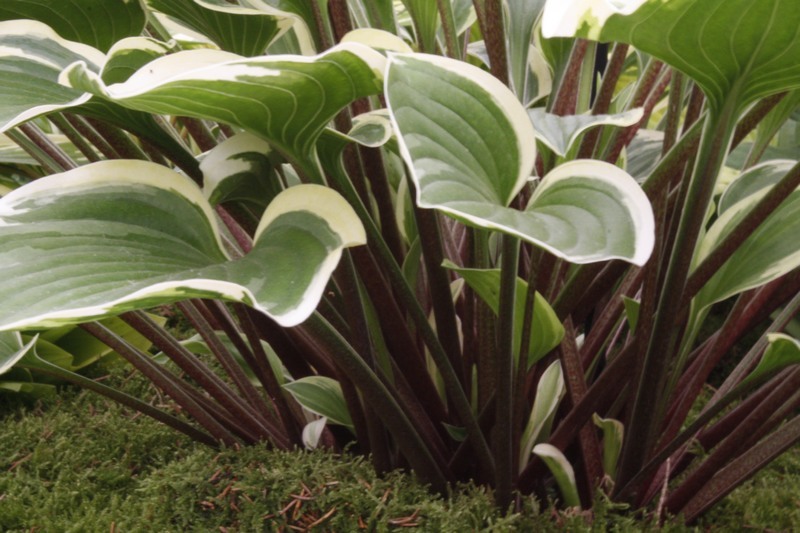 For many years I grew cannas and had the national Collection. 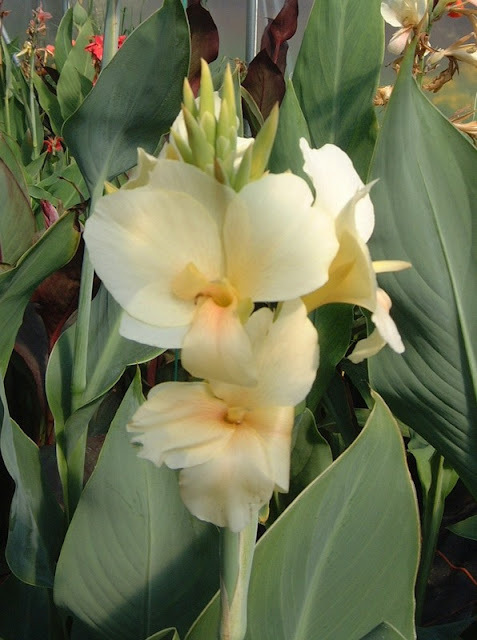 Amongst aficionados, a white canna was very much the Holy Grail, just like blue roses to a rose grower. However all white cannas like this seedling, are really ivory or pale primrose. 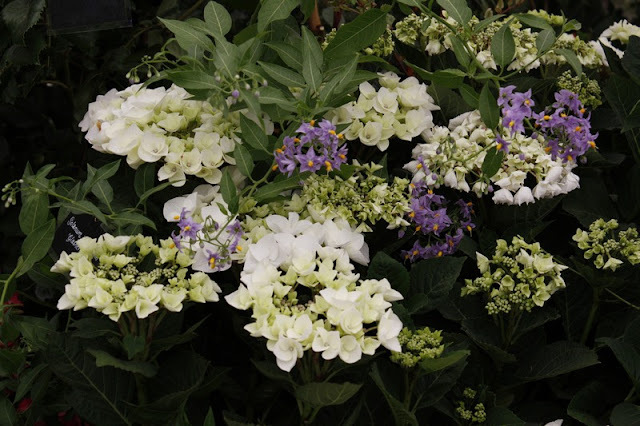 Nevertheless it makes an interesting discussion point and challenge for the amateur hybridists. 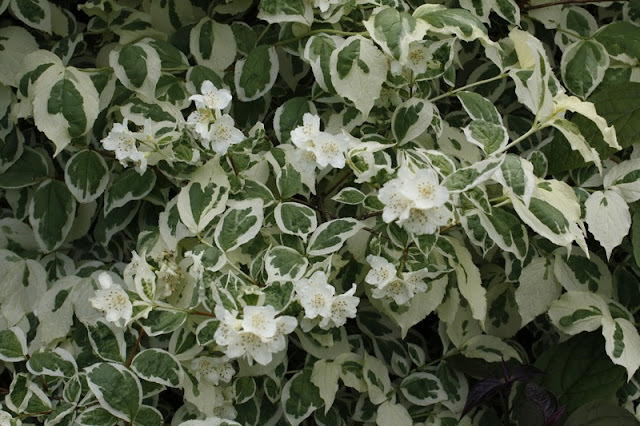 As well as white flowers, there are of course many plants that have white variegated foliage that gives a similar effect in a planting scheme. However on a practical level, variegated plants are often less successful in shade and the intensity of their variegation tends to be reduced, as the plant makes more green chlorophyll to compensate for the lack of sunlight. 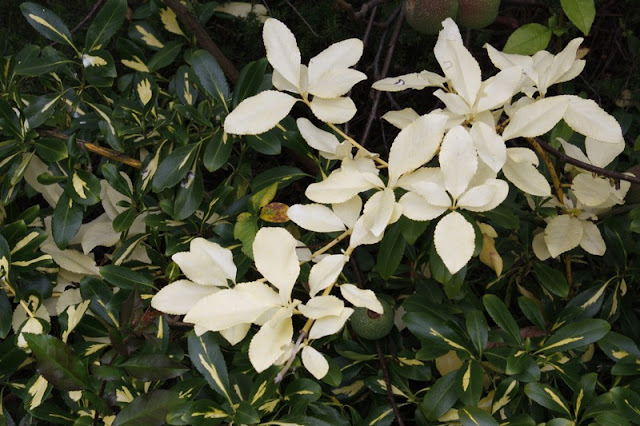 Occasionally plants develop 'faults' like this all white sport on this Euonymus. Whilst the shoot is pretty and curious it could never make a plant to grow on its own as it has no chlorophyl so cannot survive on its own. 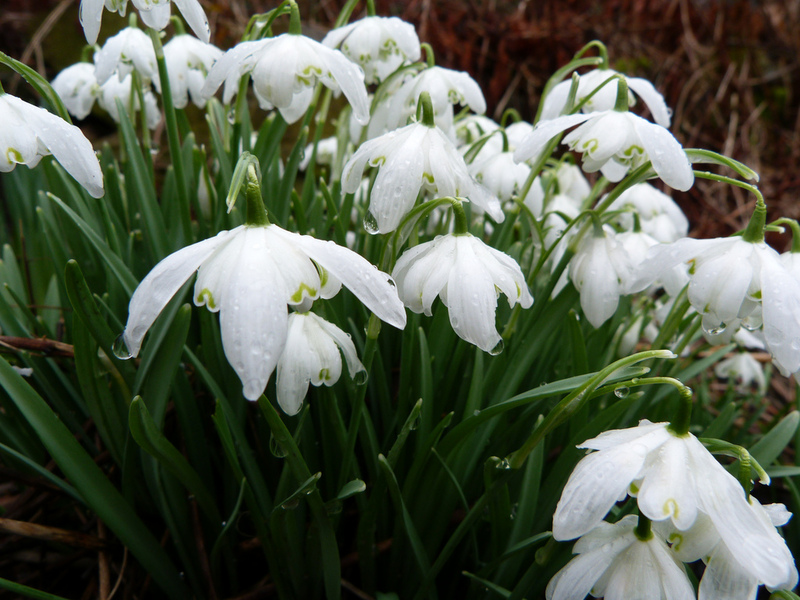 And with winter stretching on interminably, we still have an absence of colour in our gardens, although amazingly snowdrops are still in full bloom. I've never seen them last into April. Enjoy them while they last, because when the weather does improve this year, spring is just going to explode! 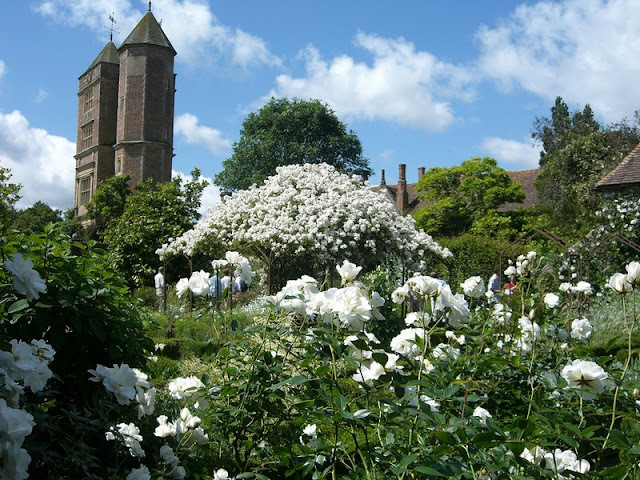 Vita Sackville-West, called it her ‘grey, green and white garden’ at Sissinghurst and was quite cutting about ‘white’ gardens as being from too narrow a colour palette. 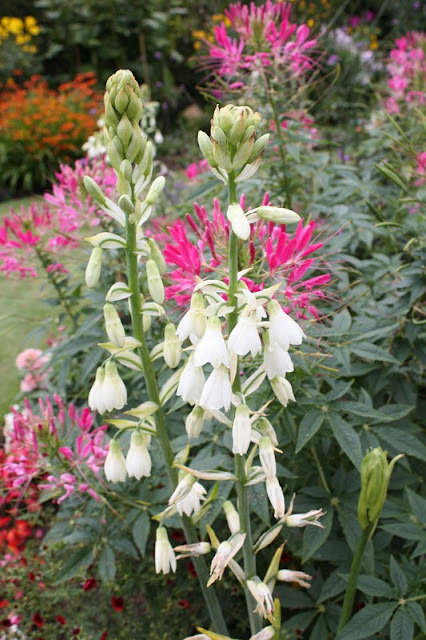 Part of the reason it is more successful than so many of its imitators is its wider range of colour allowed. 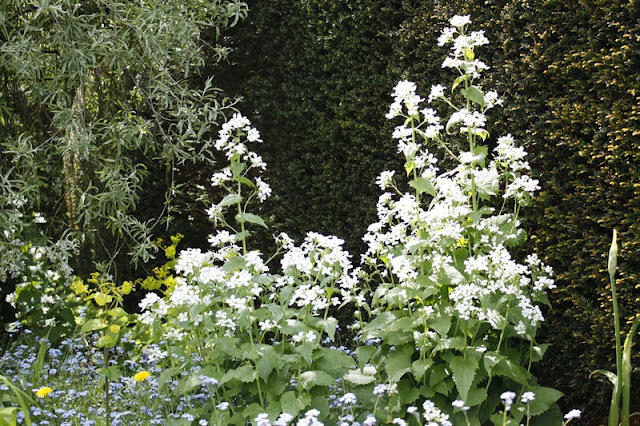 The grey leaves of Onopordum and a range of Artemisia would be eschewed by a ‘strict’ interpretation of the ‘white’ border. 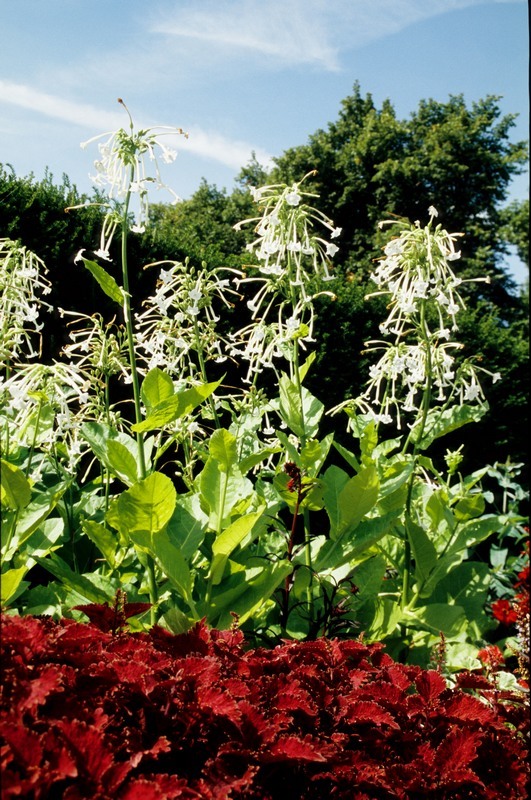 Often what actually makes the Sissinghurst ‘grey, green and white’ garden take of is red! 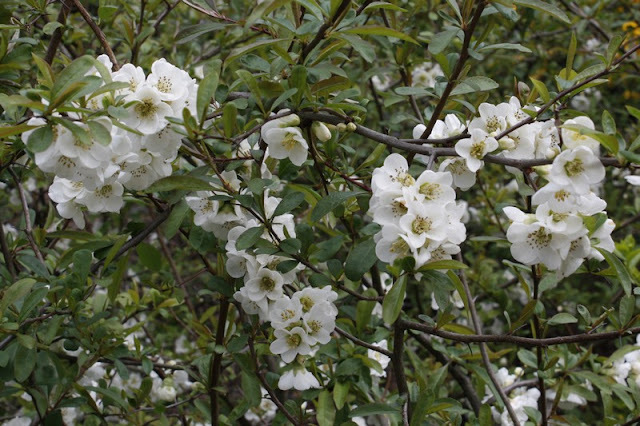 Hips on the Rosa mulliganii [shown as the central dome in your June picture above] set off the whole garden in the autumn or the cloths of ‘unsympathetic’ visitors! Superb illustration of this 'pure and bright' colour! 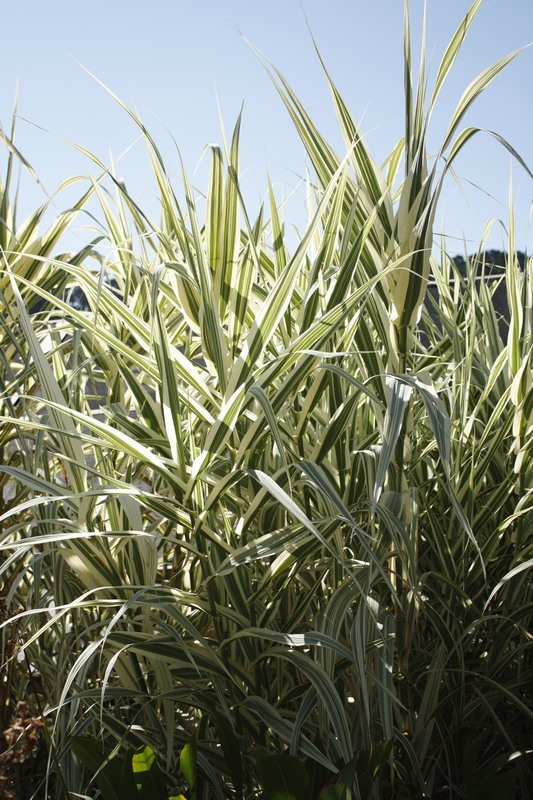 It is the very basis of our new garden wing, not so much for the plants but the way it offsets and complements the blue and green planting scheme. OK, I’ve spent a couple days wondering if you would want to know this; but since I seem to have established a reputation for being picky over names…. Agapanthus campanulatus 'Isis' was named by the late Alan Bloom after the stretch of the Thames above Iffley Lock as it runs through Oxford where it is called The Isis and should be Oxford Blue [Dark Blue]. 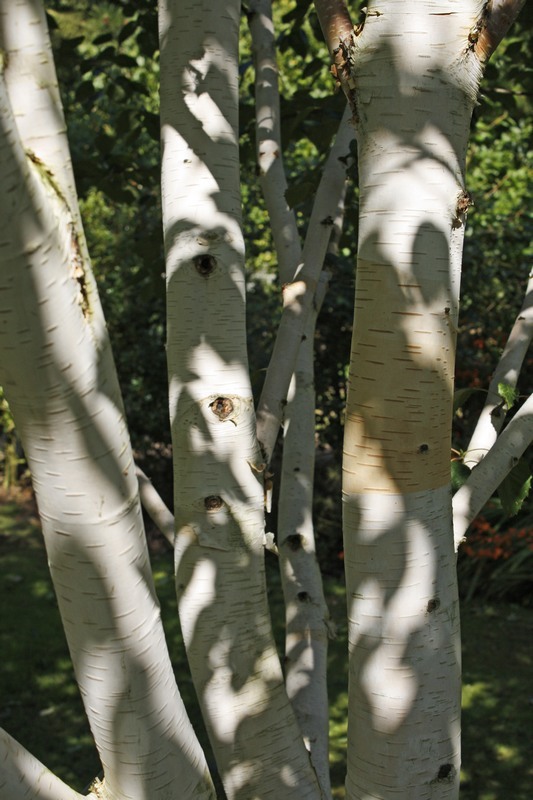 It does tend to vary a bit in shade but not to white!